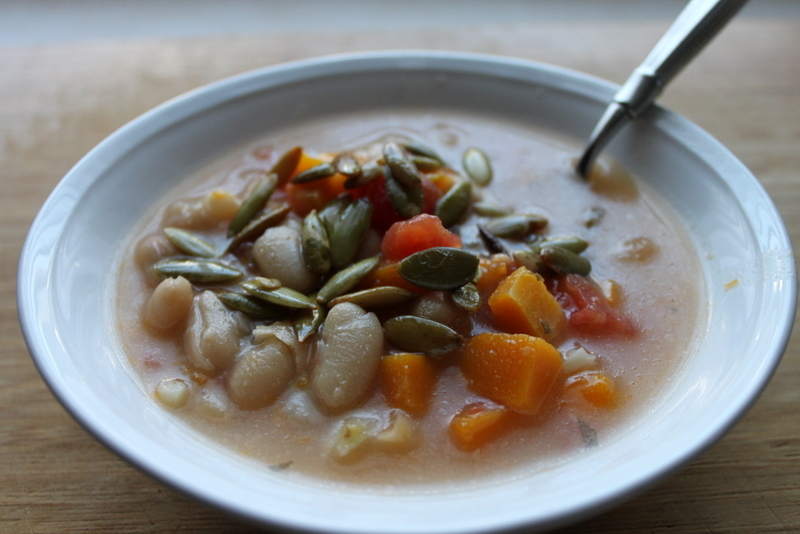 This soup, when doubled, will make several meals for two people. With a salad and some crusty bread, it’s perfect. Love it. 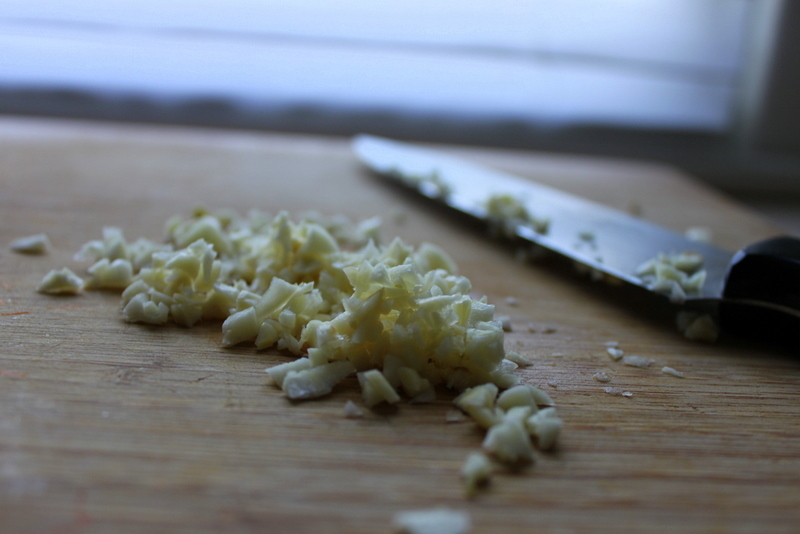 Cook garlic in 1 tablespoon oil in a 3-quart heavy saucepan over moderate heat, stirring frequently, until golden, about 1 minute. Add squash, water, stock, beans, tomatoes, and sage, bring to a simmer, cover and simmer, stirring occasionally, until squash is tender, about 20 minutes. Meanwhile, cook pumpkin seeds, if using raw and unsalted ones, in remaining 1 tablespoon oil in a small skillet over moderately low heat, stirring, until seeds are puffed and lightly toasted, 2 to 4 minutes. Transfer to a bowl and season with salt. 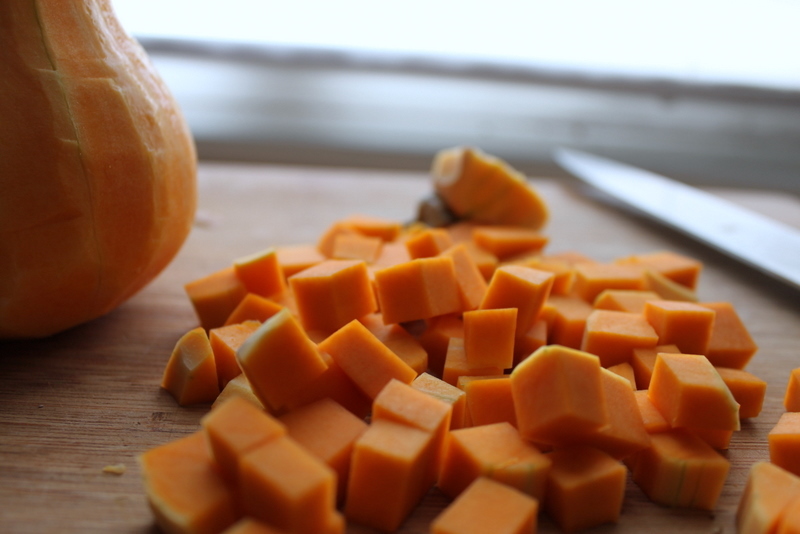 Mash some of squash against sides of saucepan to thicken soup. Remove from heat and stir in cheese and salt and pepper to taste. Serve sprinkled with pumpkin seeds, if using, and cheese.